King Chrome estimates this item will ship on or before May 1st. King Chrome starters are 100% new (not rebuilt) and feature an aluminum nose. The powerful 1.4 kw motors crank out 180 ft. lbs. of torque, which is enough to start most high-compression street engines. For comparison, most OEM starters only have 85-100 ft. lbs. of torque. 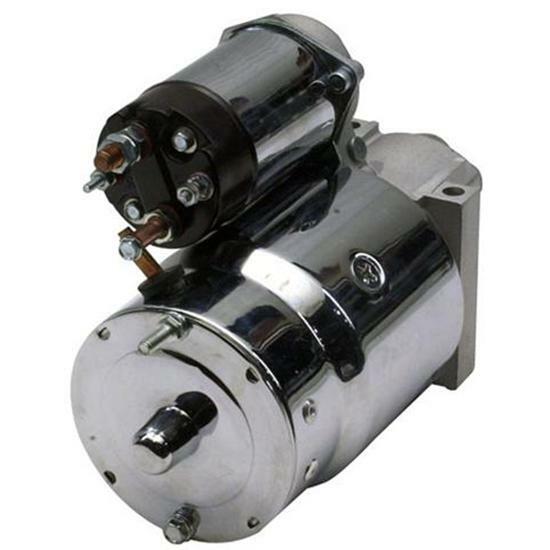 Note: These starters include a chrome main body, solenoid, and end plate. The snout is not chrome.